The fair is in full swing, and so far...we're not doing as well as we did last year. The family has earned several ribbons in arts and crafts related items, and a few in home canning. But so far, only two ribbons in cooking. Hopefully, this recipe will change that. To thank for it! Trish's ( Mom on Timeout) secret ingredient this week was CHOCOLATE and I decided to make the best chocolate pie I could. Then enter it in to the fair and finally win that blasted pie contest. I enter every year and every year, it's a complete bust. Last year, when I won the Fleischmann's Yeast contest, inspiration hit in the shower (why is that always the case?) and I decided to make Caramel Apple Cinnamon Rolls. I took one bite and KNEW, it was the best thing I had ever made in my entire life. This pie is equal to that. First, bake your pie crust. For the contest, I had to use store bought. Make your own if you want. Go adventurous and maybe try an oreo crust! Next, make caramel sauce. Try not to burn it. 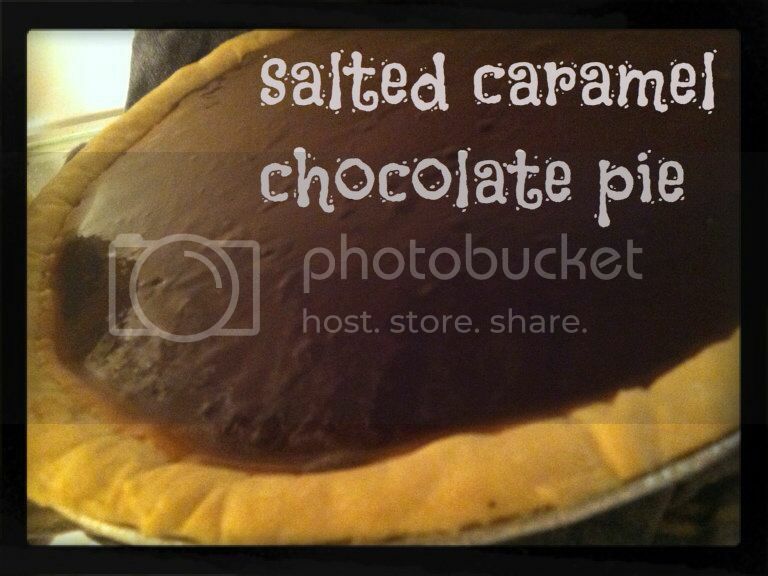 Chill your not burned caramel sauce for about 20-30 minutes then pour it in to your baked pie crust. 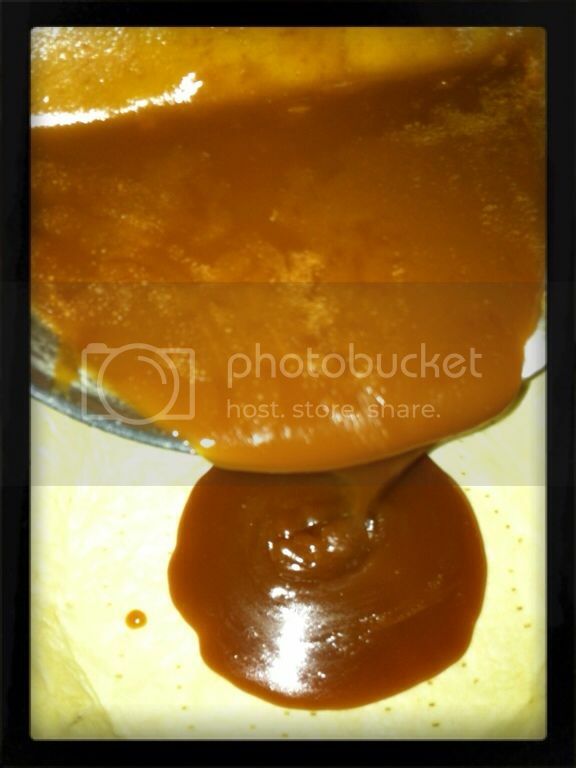 Do not attempt to take a picture of your beautiful caramel going in to the pie crust. 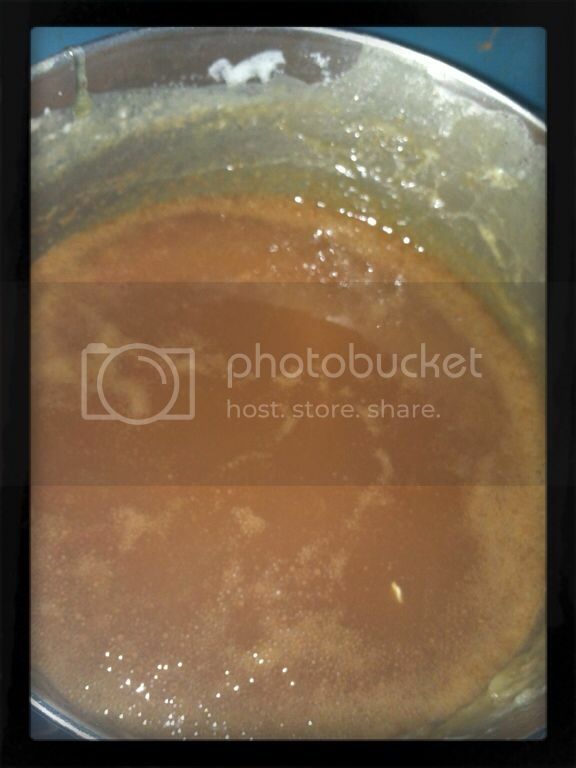 You are not a real food blogger and you are using an iPhone. You'll just look like a dork and make a mess. I told you not to try this at home..
Make a really yummy chocolate sauce and pour that goodness over the caramel sauce. Let this amazingness chill in the fridge for 45 minutes or however long you can stand before you sneak yourself a slice. I don't have self control. I sliced the second pie too soon. It was a very tasty mess. Maybe I'll have pretty pictures for you later. In a medium saucepot over low heat, stir sugar and 1/3 C water until dissolved. Increase the heat and bring to boil. Let it cook, stirring occasionally, until the liquid turns a dark amber, about 8-10 minutes. While cooking, dip a pastry brush in remaining water to brush down the sides of the pan several times. Remove from heat. Add cream, vanilla, butter and salt. Return to low heat and stir until it is smooth and turns a deep color, about the color of store bought caramels. Anywhere from 5-8 minutes depending on gas vs electric and sea level and all that fun stuff. Refrigerate until it's cool, but not firm...about 20 minutes. Pour into pie crust. There will be extra caramel. You can do another pie or you can pour them out on waxed papers for caramel candies later. For the chocolate filling, bring whipping cream to boil in small saucepot. Add in chocolate and whisk until smooth. Remove from heat and pour on top of the caramel. Chill 45 minutes or until firm. Garnish with sea salt. Be sure to check out the other Iron Chef mom blogs for their AMAZING recipes and link up any of your favorite chocolate recipes! Just pinned this! Love it! Such a great recipe! This looks amazing. I'm loving this chocolate, salted caramel food trend this fall. Holy Cow this sounds incredible!! Gotta try it! I am featuring this recipe at tomorrow's Back For Seconds Social! Oh boy! That looks heavenly. 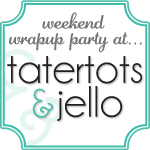 Thanks so much for linking at Adorned From Above's Link Party. This pie looks delicious. I have featured this post tomorrow on my Friday Favorite Blogs of the week. Stop by www.adornedfromabove.com to get my featured blogger button.